These days, spiritual spots are becoming as popular as media feature. Ironically in famous spots, you got tired due to the crowd… Have you experienced that? This report will introduce some spots that not many people know and have immense spiritual power. Firstly it is called ‘Haruna Shrine’ which is located in Takasaki City, Gunma. This shrine has enormous power in terms of desire realization. There are still not a lot of visitors lately. The pathway to the shrine around nature and the noble precinct there are, that’s why it is quite fascinating albeit many mass media have never feature. You feel refined to go past nature and Haruna River. Haruna Shrine was established in 927. According to the historical ledger, this shrine was selected as one of the twelve shrines in this area. Let’s try to draw a fortune slip after praying. This shrine is quite famous as God of rain so that it’s uncommon how to check your fortune. To dip your slip into special water, the fortune would be emerged unbelievably. Secondly ‘Togakushi Shrine’ is placed in Nagano City, Nagano. It is composed of 5 shrines. Generally it has power of purification to bring good luck to prayers. It was built about 2000 years ago, thus there are a uncountable number of history that this has experienced. The approach to the Main Shrine has almost 2km surrounding the row of cedars which have been register in Natural monument. Fortunately you feel comfortable due to ion generated by such old trees while walking that way. After praying, why don’t you have ‘Togakushi Soba’? Although there are a lot of soba restaurants, ‘Uzuraya’ is much sought after soba restaurant around Togakushi Shrine. Thirdly, I introduce ‘Yahiko Shrine’ in Yahiko Village, Niigata. The formal name is though ‘Iyahiko’, local people affectionately call ‘Oyahiko-san’ coming from a place name ‘Yahiko’. Apparently this is one of the noblest shrines in this area. This shrine expanded the precinct and established the main building in 711, then around 200 years later, it has become the formal shrine. God in Yahiko Shrine delivers the fortune for work and love to you. The bridge over Mitarai River is called ‘Tamanohashi’. However, we are forbidden to pass this bridge because it was constructed as a holy bridge God crosses. ‘Sasa-dango’ is a local food in Niigata. Of course it tastes great, and scent of bamboo grass and the marvelous combination of rice cake and bean paste makes you pleasured. Next shrine is ‘Kibitsu Shrine’ in Okayama City, Okayama. It also has particular spiritual power in terms of marriage tie, peaceful relationship of couple, easy delivery, longevity and increase of salary. Especially for the marriage, it’s most helpful! Do you know ‘Peach boy’? According to history, this shrine was a place of that old tale. ‘Kibitsuhiko’ beat the devils which harmed local people before, so that he is regarded as a model of Peach Boy. This shrine has long cloisters. There are good atmospheres, such as other shrines, dojo and garden in side of this long way. Further you can watch the small waterfall on the back. ‘Kibitsu Shrine’ has a lot of compliments about beautiful flowers, like cherry blossom, peony, and hydrangea. Visitors enjoy watching such flowers in all seasons. Finally ‘Kirishimahigashi Shrine’ is located at an altitude of 500m between Kagoshima and Miyazaki. When it comes to flowering your talent, you would better come here. 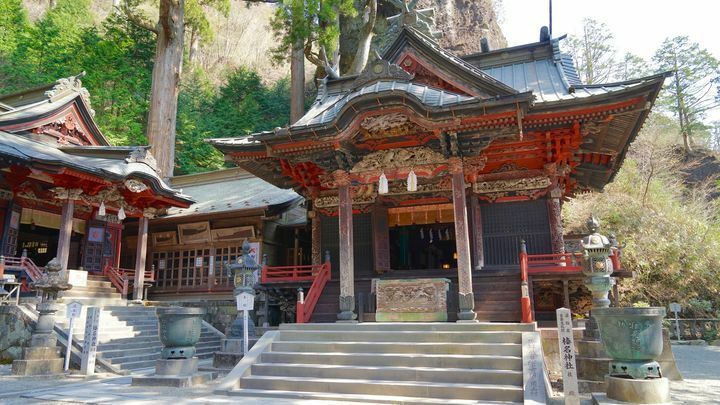 This shrine is said as the most spiritual spot in a whole Kyushu. ‘Kirishimahigashi Shrine’ was constructed in the period of the 10th emperor (BC 97~68). Inside precinct, the atmosphere is really solemn. There is a gate to climbing Takachihonomine on the side of the hall. Another precinct is on the top of this mountain, ‘Amenosakahoko’ standing there is a treasure of ‘Kirishimahigashi Shrine. Further there is God’s spring ‘Oshihoi’, but what female look into the spring is banned. Please follow this rule! The scenery from this shrine is really beautiful, and it’s possible to watch ‘Miike’. The reason why local people prefer this shrine is surrounding nature including mountain and beautiful flowers. Spiritual spots which are featured by TV and magazine aren’t everything, there are a diverse of such spots in a whole Japan. You go there to feel refreshed your body and mind.